Meet Nic, our new Director of Programs! I was introduced to Kula about two and a half years ago, and was immediately interested in the work. But it wasn’t until I spent a week with the team in Rwanda a few months later that I knew it was one I’d love to someday join. Kula is a family, and one of which I’m honored to now be a part. What’s been done over the past 5 years is a testament to their heart and determination, to big dreams and strong will and above all a love for Rwanda and its people. As I’ve come into this role over the past 3 months, our team has been working to ask some big questions, look deeply at what we’ve accomplished, and better understand the best way forward- the best methods to fulfill our goal of empowering farmers in long-lasting ways, ways that will enable them and their children to be major catalysts for the growth of Rwanda. It’s hard work, but it’s good work — the kind that stretches us, pushes us, and deserves all of us. I’ve been energized to join a team that is so excited to dive into these conversations and processes, and that chooses to do work that may have no end. Through it all we’ve continually come back to the foundational goal that we want to see people empowered holistically, for themselves and for the next generation- we want to see them healthier in all areas, fully strengthened to make decisions for their families and communities. We think this starts by ensuring that they’re the best farmers they can be, and then continues on to support their confidence and agency in their own identity, as well as in their roles as parents, spouses and business people. I believe deeply in all people’s inherent ability to overcome obstacles. In the work I’ve done over the past 10 years, I’ve seen too many lives changed to not. I believe that despite someone’s circumstance, where they were born, or the education they’ve received, they are able to grow, to see beyond the now and into the future, to decide that their lives can improve and that their children’s lives can be markedly different than their own. I believe that dreams are a part of shared humanity- that we all are made to create, to shape the world around us, to be leaders of change in our sphere of influence. This is a heart-held belief, but one that’s been informed and shaped through experience. I believe the task then is to listen, learn, and find out just what kinds of support, care and opportunities are best to be provided to people facing incredibly challenging obstacles, to help them both embrace their own capabilities and access resources for their growth. It’s a long-term approach, one that takes relational commitment, flexibility and a determined solidarity to work with people just as much as for them. People are complex, so the work is complex. It’s equal parts science and art, march and dance, head and heart. It’s easy for this complexity to get divided into 2 camps — one that is driven by smiles and stories and the relational knowledge of life change, and the other that is driven by indicators and data and ratios of net dollars spent to net impact returned. My experience tells me there’s a way to merge the two- to be relationally focused and impact driven, to read someone’s data reports in the context of the tea you just shared, and to give weight to both a survey and a story. Ultimately, we want to merge the heart and the mind, and to not let either go to the wayside as we pursue some very large goals. We want to know our people through numbers and time spent, through spreadsheets and mentorship, through quantitative feedback and rolling up our sleeves to pull weeds alongside them. I was drawn to Kula because of their shared value in both areas. Now we’re positioned well to take both even deeper, and I’m thrilled to lead that charge. I’m convinced that the best approach when facing big challenges is to posture yourself as a student, and so that’s what we will keep doing as we build on our experience to develop a long-lasting and scalable program. It will be a process of trying, gaining feedback, seeing results, adjusting and trying some more. We want to see people’s lives changed, and that is far too multi-layered to think that we’ll get it perfect at the first or fifth attempt — but also far too important to ever give less than our best in its pursuit. Through it all we’ll continue sharing with you what we learn — the stories and the numbers, the successes and the challenges. 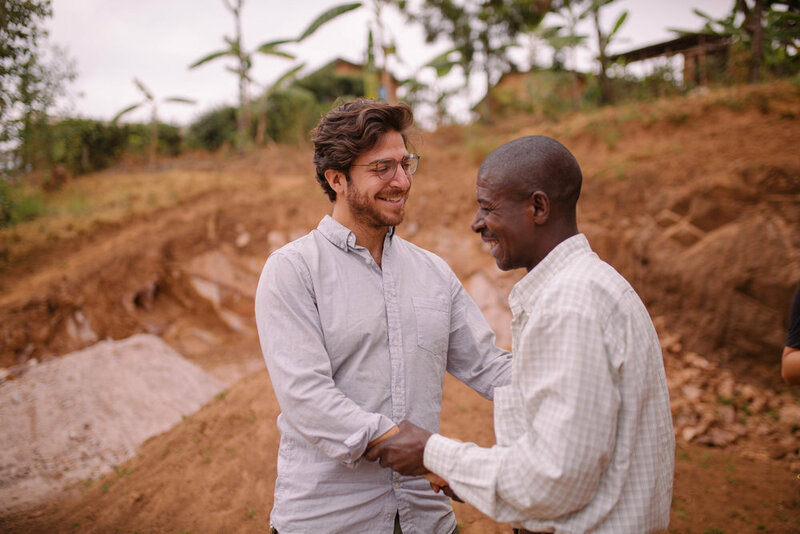 And we’ll be working our tails off to understand the most impactful ways to support farm families in rural Rwanda. I’m thrilled to join this team, this community and this journey. Thank you for all your support of Kula — past, present and future.